Just a few mornings ago we went to bed with snow flurries in the air and woke up to a BIG SNOWY DAY. It was the perfect kind of snowy day too – tons of fresh snow and not very cold or windy. A great day to be outside! Sammy had been waiting for the snow to build with, jump in, and slide on. Madeline – my little crafter – had been waiting to make snow painting for kids. 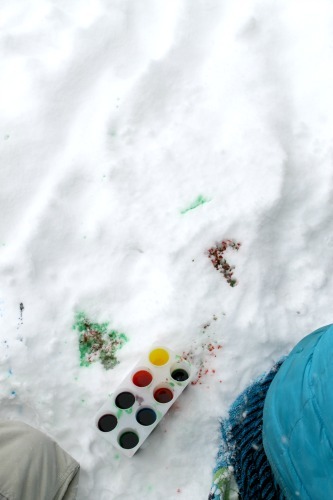 This snow painting for kids activity has the potential to be not as messy too! Not that it really matters because you are outside anyways. We did snow painting on the deck, but it could be done anywhere – even with some snow on a cookie sheet as a canvas. This activity is so very easy and requires only water and food colouring. We did some colour mixing, which is always fun, and made 8 different colours. 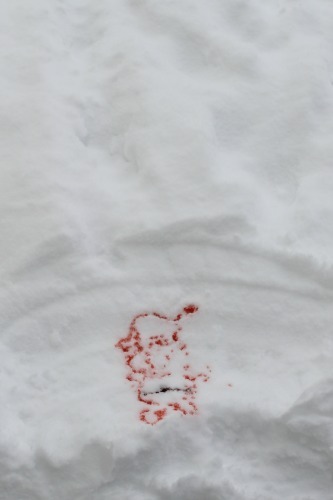 Using eye droppers was a nice idea because the snow painting could be much more detailed. Madeline and her friend (who ended up being with us for a sleep over on the big snowy night – and therefore snowed in with us for the next day!) 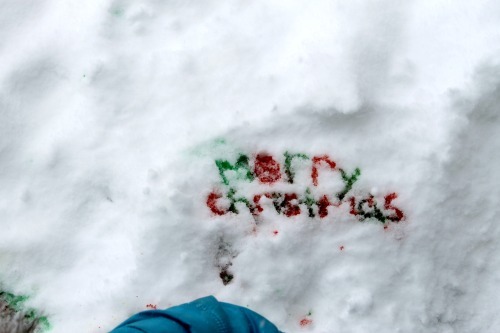 made many Christmas-y snow paintings: Santa, Christmas trees, candy canes, and some snow writing too! It really is the simple things! Snow painting for kids has to be one of the very easiest crafts there is – and it always holds my wee ones attention for so very long. And the creativity is amazing too! Please consider liking us on Facebook so we can share more creative activities with you and your wee ones! Thank you! 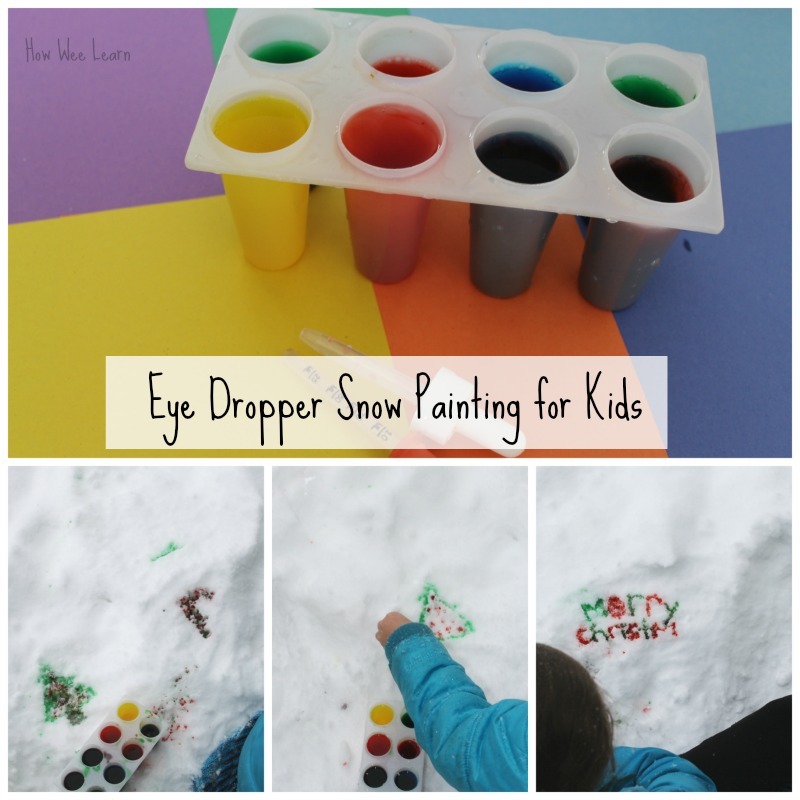 Very cute way to paint snow and do some fine motor work! Thanks for sharing at Mom’s Library! Thank you Ashely – and thanks for hosting! Thank you Anik … I will hope for snow for you!